Spring is a time of new beginnings and renewal. If you have been feeling weighed down by the amount of d ebt you are carrying, now may be a good time to take steps to get it under control. Perhaps one of these strategies will work for you. You may be able to refinance existing high-interest debts at a lower interest rate. You could end up with lower monthly payments and may have to pay less interest over the life of the loan. Just be aware that there are costs associated with refinancing. In the case of refinancing a mortgage, expect to pay closing costs, various fees, and, possibly, points. If you are a homeowner and have built up some equity in your home, you may qualify for a home equity loan. You can use the proceeds of the loan to pay off your other debts. The big advantage is that the interest on a home equity loan, unlike consumer loans, is usually tax deductible (within limits). However, you have to be extremely disciplined about not taking on additional consumer debt while your home equity loan is still outstanding. Your home serves as the collateral for the loan, and you don’t want to put that at risk. If you have money in a low-interest savings account, it may make sense to use some of it to pay down your higher rate debt. The exception is if you have that money earmarked as an emergency fund. Note that if you are considering liquidating an investment account to pay down debts, you’ll need to factor any tax consequences into your analysis. 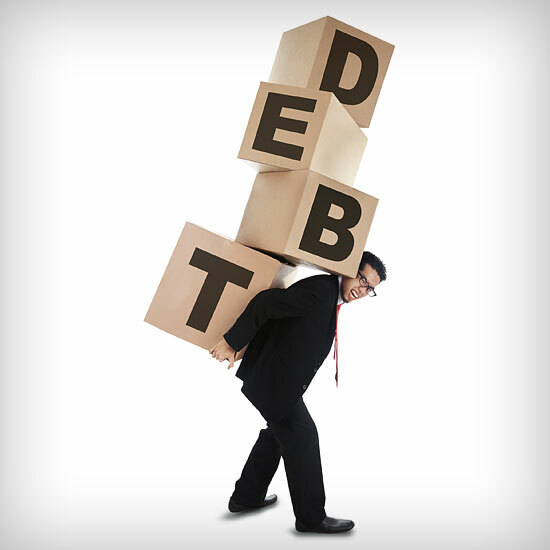 You may have to do without certain things to find the extra cash to tackle your debt. The money you don’t spend on extras can be directed to making additional payments on loans. Making extra payments can reduce the length of the loan and the total interest paid over the life of the loan.